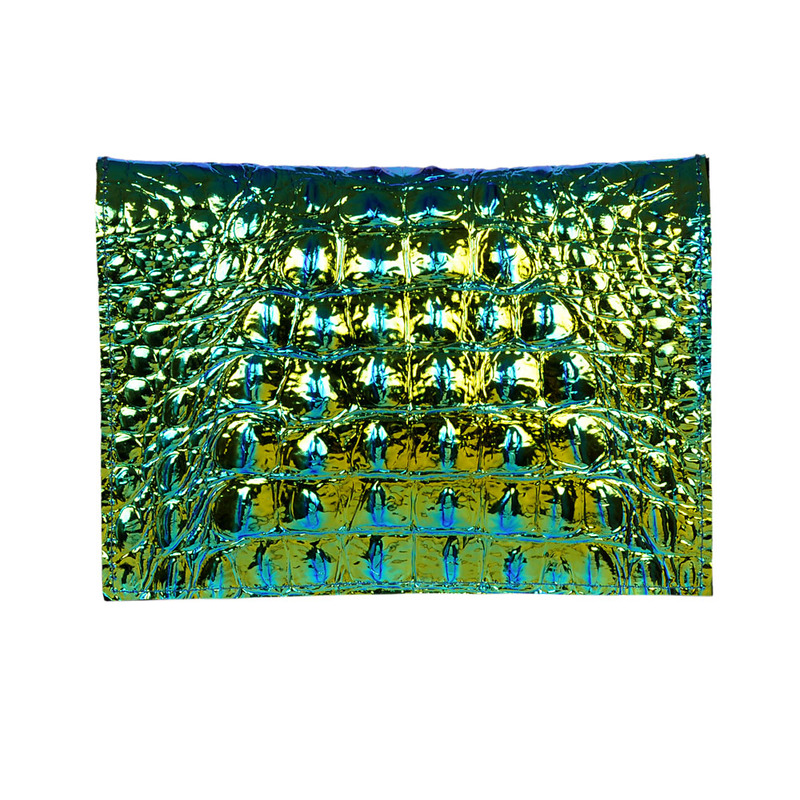 Azteca Galaxy is a unique envelope bag made of Italian natural and very delicate calfskin. 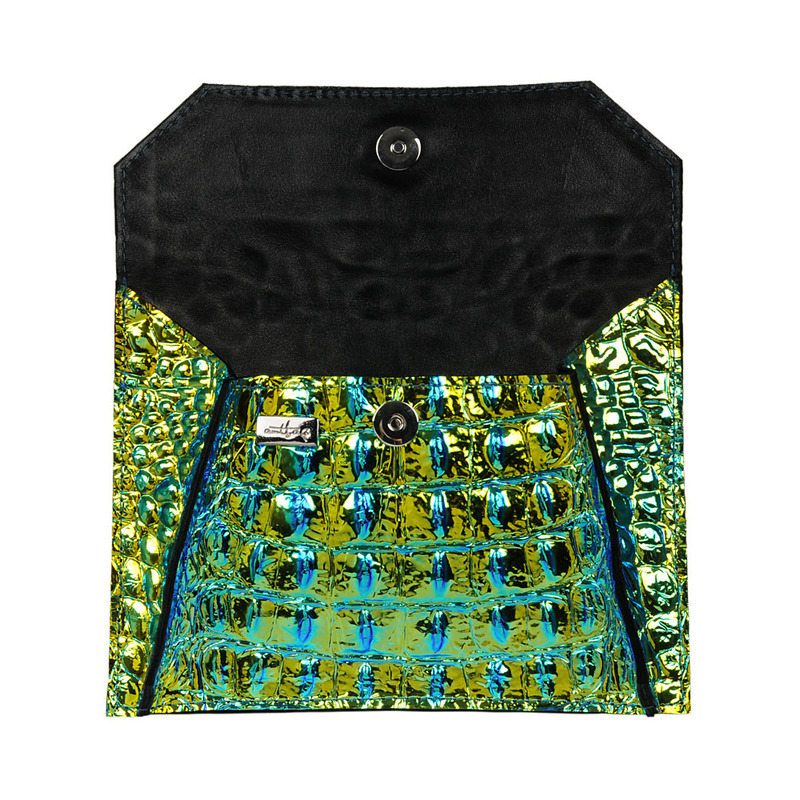 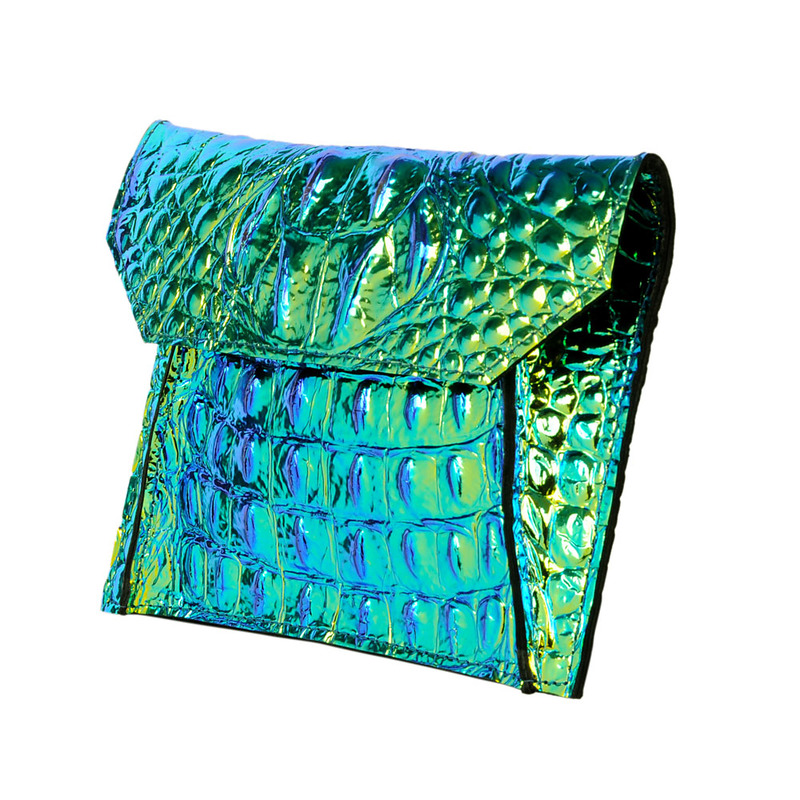 The leather is embossed with an opalescent and metallic in color alligator animal motif. 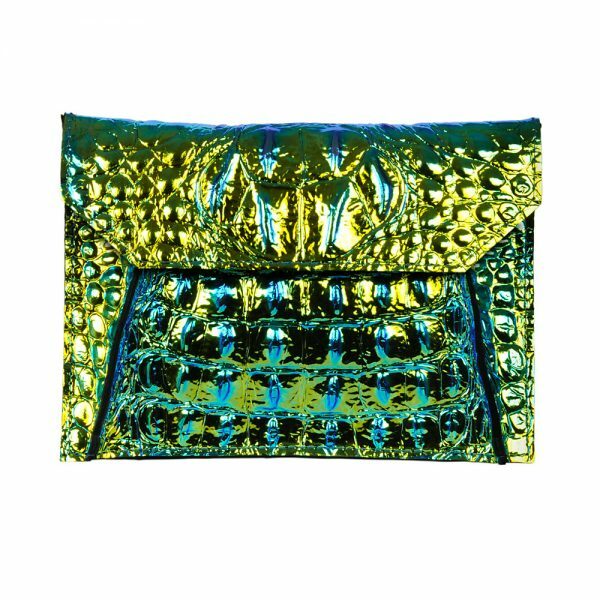 The envelope bag is fastened with a magnet in the color of gold.